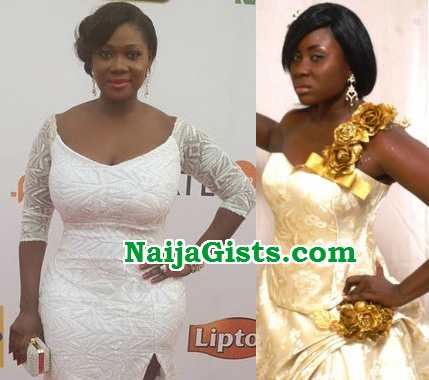 A damaging report headlining budding actress Keira Hewatch with Mercy Johnson has reached her. Though the two movie starts look unarguably alike, but Keira has revealed that some of the hate speeches made by people who felt she was equating herself with MJ actually moved her into tears. It turned into a big thing. People were literally cursing me out on social media sites saying ‘oh you will never be like our Queen Mercy Johnson’, ‘who’s comparing you to Mercy?’ and ‘you look like a goat’, and all that stuff like that” she revealed. “I used to be a very sensitive person. I sit in my house and be crying” she further said. DON’T MIND THE WORLD BABE. YOUR ROLE IN LEKKI WIVES WAS SUPERB.PLS KEEP IT UP. she looks like mercy’s husband. are they related?. Just ignore them and move on, after all you are beautiful. WTF? Who the hell is Mercy Johnny husband snatcher?!!!! Even she is ugly as hell! Stupid people! Sabi Sabi lip service everywhere. Losers get a life!!!!!!! !